Maintaining healthy gut flora renews the body's energy and keep the body's immune and digestive systems functioning optimally. 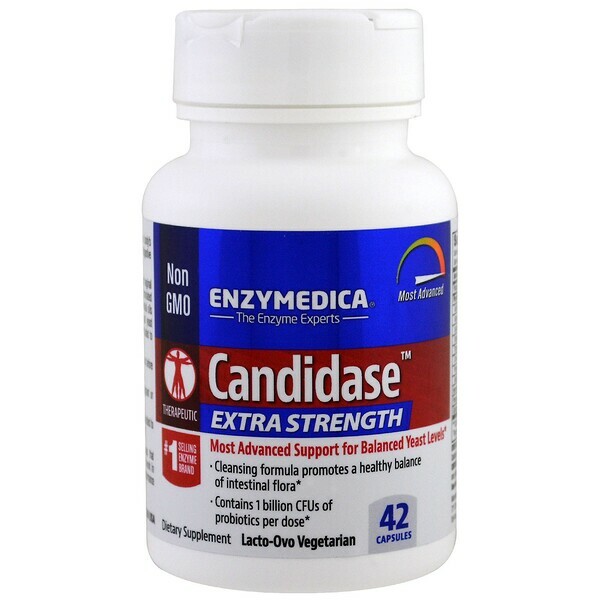 Candidase Extra Strength may support vaginal and urinary healthy with a scientifically formula blend of natural ingredients including essential oils and enzymes designed to promote normal yeast population in the gut. 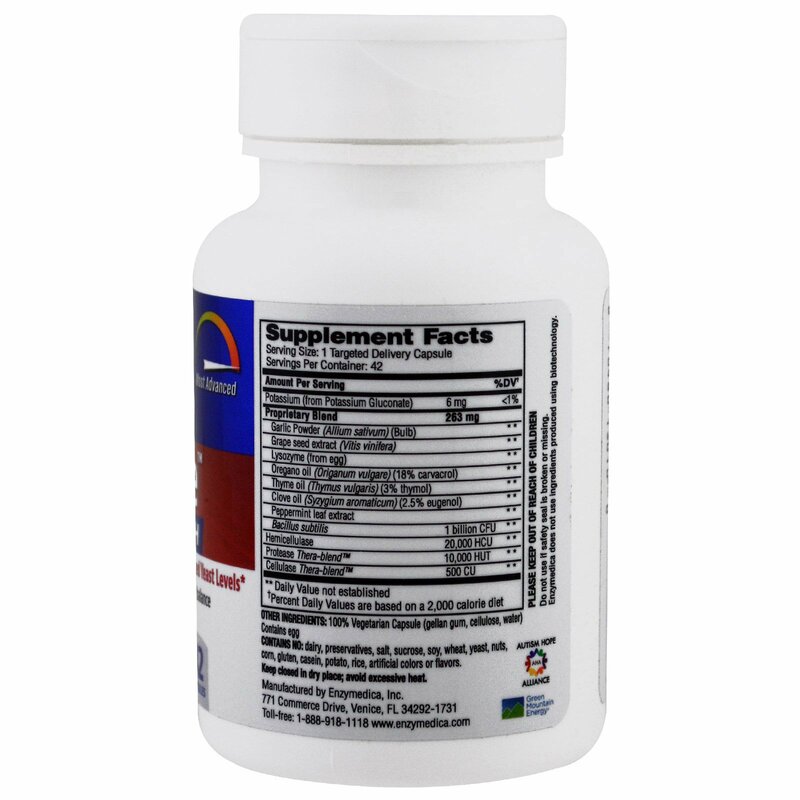 Probiotics are included to maintain healthy gut flora. 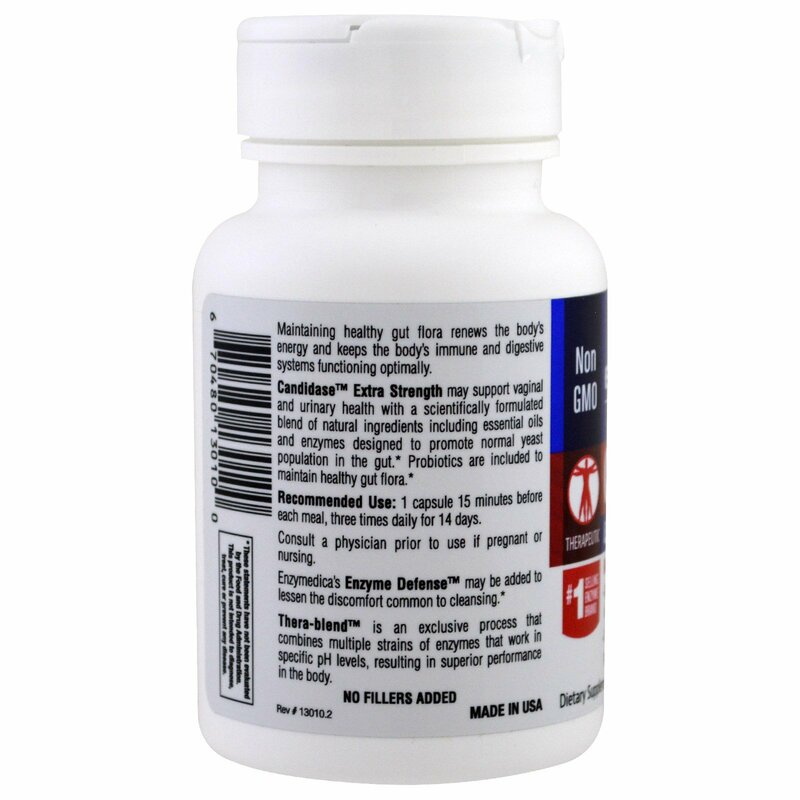 Recommended Use: 1 capsule 15 minutes before each meal, three times daily for 14 days. Enzymedica's Enzyme Defense may be added to lessen the discomfort common to cleansing. Contains No: Dairy, preservatives, salt, sucrose, soy, wheat, yeast, nuts, corn, gluten, casein, potato, rice, artificial colors or flavors.